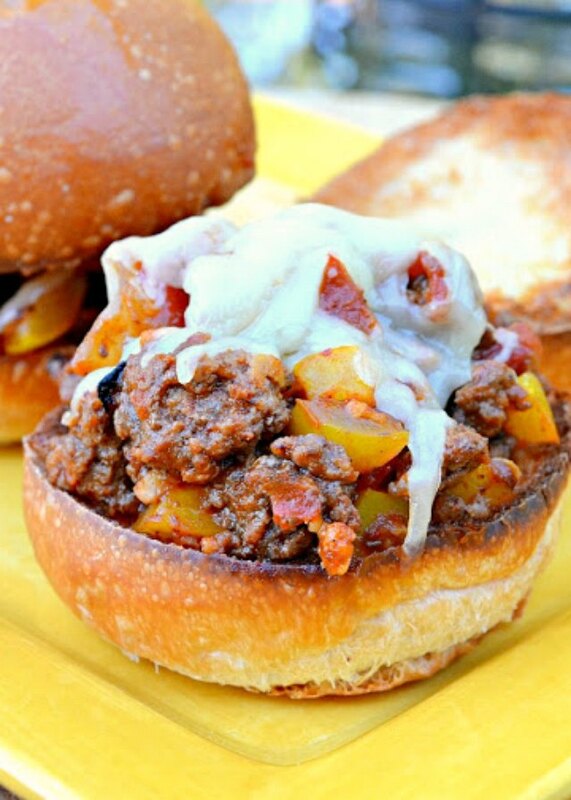 I made this Sloppy Joe recipe last Thursday, because they are always a hit in our house. The kids request them all the time. I love how easy homemade Sloppy Joes are to make. It's an easy dinner for a busy weeknight, or when I need to feed the Hubby and his friends when they're watching football. No slaving here! I have met a few people who detest Sloppy Joes. However I have yet to have a chance to make them try these delicious babies! I have yet to understand what's not to like about ground hamburger with all sorts of goodies smothered with cheese over top on a toasted bun but if I figure it out I'll let you know. These taste nothing like Manwich. Just for the record my kids will picket if I serve the Manwich. This recipe could be totally gluten free if using gluten free buns. They are totally delicious either way. Break up hamburger and cook until no longer pink. Stir well. Reduce heat to low, and cover. Cook for 15 minutes or until mixture has thickened and become saucy. Serve Sloppy Joe mixture over hamburger buns toasted or plain. You can top with grated cheese if desired. 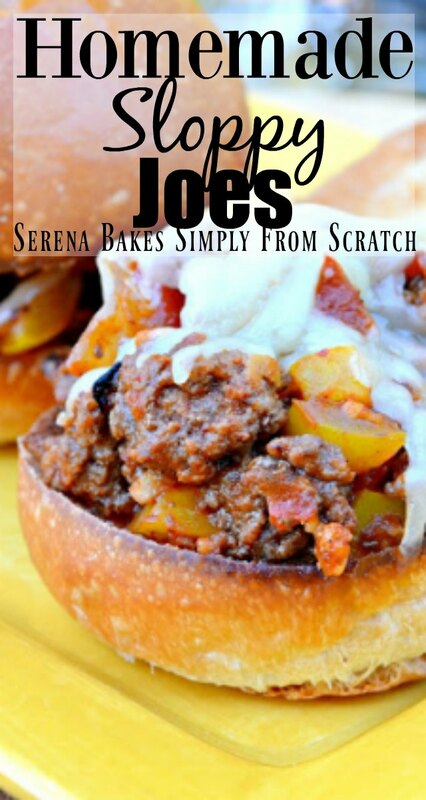 Homemade Sloppy Joes recipe are so easy to make with a gluten free option from Serena Bakes Simply From Scratch. Heat olive oil in a large pan over medium-high heat. Add onion and sauté until caramelized. 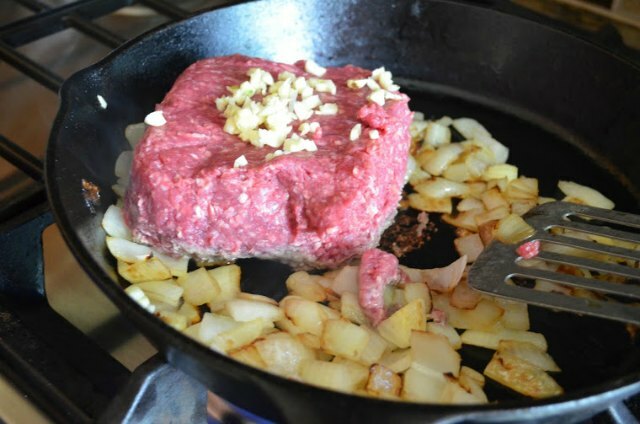 Add hamburger and fresh garlic, cook until hamburger is cooked through. Add bell pepper, tomatoes, quick oats, chili powder, worcestershire sauce, garlic powder, sea salt, smoked paprika, cumin, pepper, and sugar. Stir well, and reduce heat to low. Cook for about 15 minutes or until mixture has thickened and become saucy. Serve over toasted buns topped with cheese (optional). 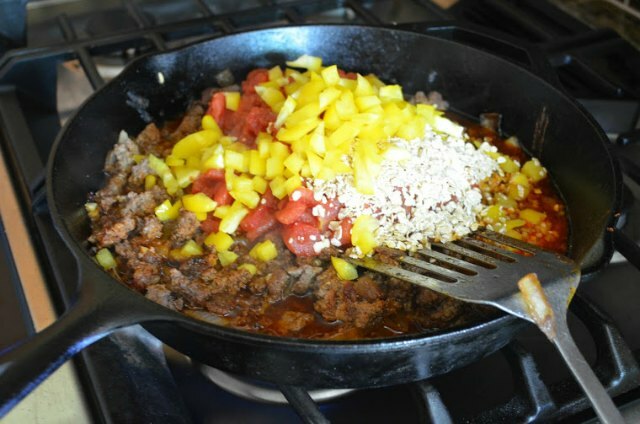 We used to make sloppy joes every time we were camping, but it always came from that spice mix that you get at the store. LOVE the recipe you have with these, and I have a feeling that they will make the entire family happy. And I'm not going to wait till we go camping! My husband loves sloppy joes but I get so frustrated. His mom didn't really cook when he was growing up so he actually prefers the taste of Manwich which I refuse to serve lol. I'll give these a shot to see if I can finally change his mind! We made these tonight. Will never go back to the canned version!